The contrariness of spring weather is certainly upon us at this midway mark of the final term. Our hills landscape is significantly ‘greener’ after recent soaking rains. However, we know that many farming communities around Australia continue to experience the devastation and challenge of drought conditions. 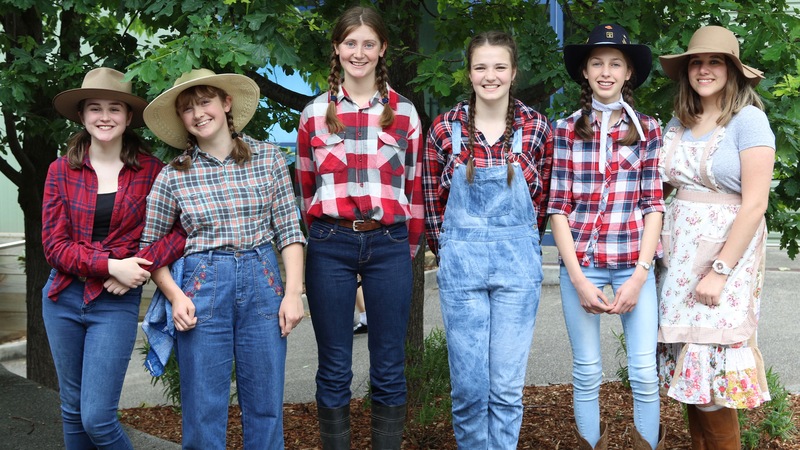 I am pleased to thank Year 10 student Lucy Fenton and her friends who organised an awareness and fund-raising day last Friday, through a unique opportunity for us all to ‘dress like a farmer’. As a school community, we relished the chance to stand in solidarity with those across other Australian communities, facing unrelenting drought conditions that challenge their wellbeing and farming crops alike. Our human family is a global entity and in today’s fast paced, technologically savvy world, we recognize our interdependence more than ever. Kindness was the action of the Good Samaritan. Do you remember Jesus’ reply when the lawyer asked - just what then should he do with his life. These words are also with the sculpture - you have seen them many times…Go and do likewise. In addition, but also as a school community,we continue to focus on the challenges of social media, especially for younger students. We regularly address the issues of cyber safety through the curriculum, in classes and in assemblies. Yet, the desire of young people to be constantly “connected” creates extra challenges for parents. At the Year 7 Welcome Evening this year, Judith Locke spoke of the need to be vigilant at home in supervising student use of technology and the need to place limits on social media usage. Judith in particular stressed the importance of keeping technology out of student’s bedrooms, especially at night. I encourage all parents to continue to discuss and monitor the appropriate use of technology. It is important that we stand in partnership, sending a consistent message centred on the values of respect, honesty and integrity across all forms of communication. There are many resources available to schools and parents on this issue. Again I recommend the eSafety Commissioner website and trust that we hold a shared commitment to ensure student safety above all.